What? In 13 days we walked from the source of the camp at the Upper-Lower Austrian border to its mouth into the Danube near Krems. In a small group we hiked through the Waldviertel and followed the course of the river Kamp. 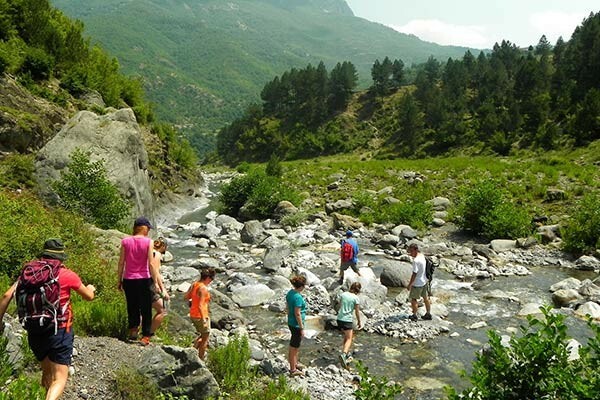 We spent all our time in nature – sleeping outdoors, cooking outside together, discovering the most beautiful places along the river, meeting inspiring people and working on water conservation in Europe. Why? We are political! In addition to hiking and lots of fun, this hike was also about a message: “protect wild rivers”! This meant that we had the opportunity to deal with current water policy on the hike. We were not only taking a look at the European Water Protection Act, we were also getting active for the river Kamp! It is threatened by a new power plant project that would mean a comprehensive destruction of nature. The low power generation of the power plant would be disproportionate. During the “Riverwalk” we had the opportunity to take part in various activities and workshops on personal development such as leadership, teambuilding, political engagement, conflict resolution, navigation etc. Approaching and learning from each other were central to the success of the project, which was taking place for the fifth time this year. Together, we experienced nature as well as received a framework to get politically active for the environment. If you have questions concerning Riverwalk let me know! I’m happy to answer them!